There's still plenty of time to enjoy winter in the Lake George area! If you're itching to get outside but aren't sure what trails are open or where camping is allowed year-round we've got you covered. Whether we're headed towards an early spring or another snowstorm is just around the corner, the eastern side of Lake George is an untapped gem of lesser-known nature preserves and trails. 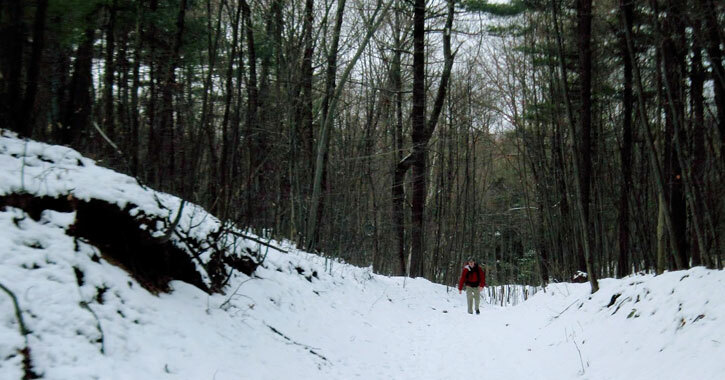 You can hike, camp, and if there's snow on the ground, snowshoe and cross-country ski. And, it's not too early for birding! Remember, with no leaves in the trees these creatures are much easier to spot. Bonus tip: Remember that hiking through snow will take more time and effort than attempting the same trails in the summer. Plan accordingly, and bring snowshoes and microspikes or crampons with you. 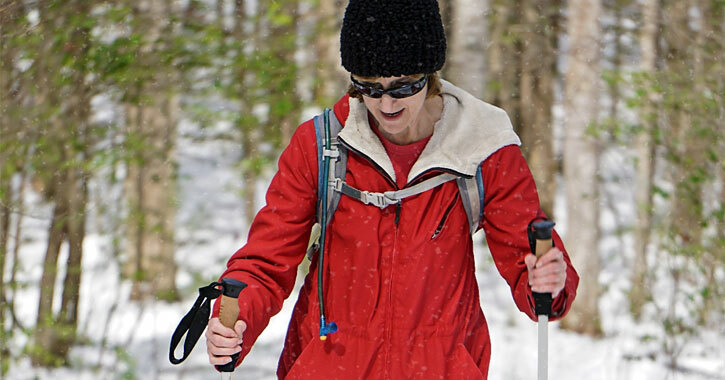 Snowshoes should be used whenever snow depths exceed 8 inches; microspikes and crampons can be used when the trails get icy. The Schumann Preserve at Pilot Knob in Fort Ann is owned by the Lake George Land Conservancy and has been a popular area for outdoor recreation for many years. In late 2017 it was announced that the preserve would be receiving funding to improve the 223-acre area. Renovations include an expanded parking area, rerouting of trails, and taking measures to halt erosion from stormwater. You can explore 3.2 miles of trails in the preserve with lake views. The hike to the top is fairly steep, but you'll be rewarded by a rest at the preserve's gazebo and stunning views of Lake George and the Adirondacks. The LGLC asks that you stay on the designated trails; some hikers have forged their own paths. By staying on the appropriate trails you can better help protect and maintain this area. Keep in mind that the preserve can get icy in the winter months. The preserve was initially named the Pilot Knob Ridge Preserve, but was renamed in 2010 in honor of the LGLC's past Executive Director, Lynn LaMontagne Schumann, who played a significant role in the preservation of the area. As with the Schumann Preserve at Pilot Knob, the Gull Bay Preserve is owned by the Lake George Land Conservancy. You'll find over four miles of hiking trails among the 434 acres of this preserve in Putnam Station. If you follow the blue trail, you'll go for less than half a mile before reaching an overlook that offers a great view of Lake George. Many hikers choose to bring a lunch to enjoy at the top. There is also a yellow trail, that starts from the blue trail's northern end and loops through a forest, and an orange trail, which breaks from the blue trail just downhill from the overlook. Head the way of the orange trail and you'll be going downhill for a bit before the trail levels out and passes a beaver pond and vernal pools. You should be able to see wildlife in all seasons here. Although Gull Bay is excellent for hiking year-round, please be aware that camping and dogs are not allowed. Saddles State Forest is a 2,471-acre state forest in Fort Ann and Whitehall. This large and serene area allows for hiking, snowshoeing, and cross-country skiing, although there are no marked or maintained trails, so you may only want to head out here if you're an experienced outdoor recreationist. Primitive camping (backcountry camping with little to no amenities) is allowed, with campsites at least 150 feet away from the nearest road, trail, or body of water. If you're going to be camping for more than three nights, or in a group of 10 or more, you'll need to get a permit from a forest ranger. Saddles State Forest gets its name from the mountains on the property that look like a saddle. 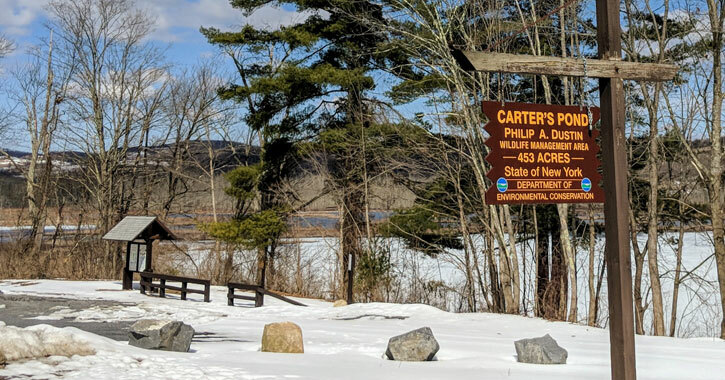 You'll have 446.5 acres of conservation land at your fingertips for snowshoeing, cross-country skiing, birding, and fishing at Carters Pond Wildlife Management Area in Greenwich. 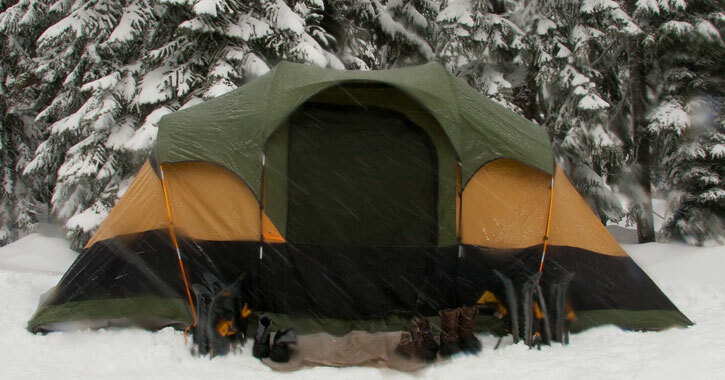 Just bear in mind the parking lots are not plowed during the winter, and camping is not allowed here. Ice fishing is popular at Carters Pond, where you'll find largemouth bass, chain pickerel, crappie, northern pike, bluegill, sunfish, and bullhead. 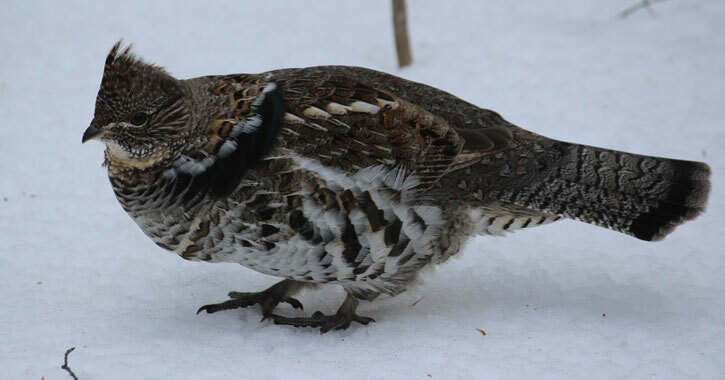 For birding, some species do hang out in the area for winter, and others stop to rest and feed here during migration. And, there is a mile-long nature trail created by the Washington County Youth Conservation Corps and members of the Waterfowl Improvement Association. The Pember Nature Preserve, also called the Hebron Nature Preserve, was donated to the Pember Library and Museum in Granville in 1979 and includes 125 acres of forest, wetlands, and fields. You'll find eight nature trails available year-round at the preserve, open from dawn to dusk. 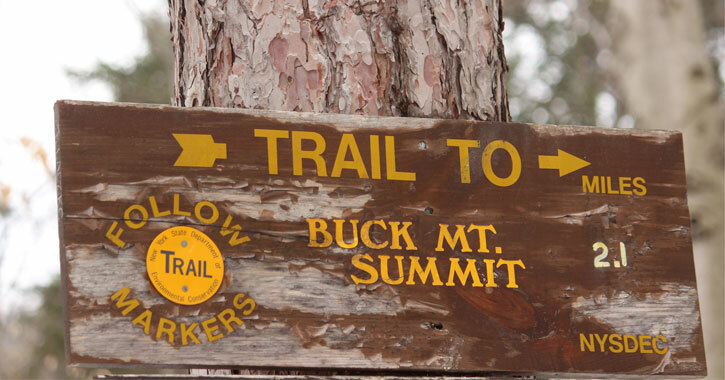 The trails are easy for the most part and are marked with blazes and wooden signs. Fishing, camping, and dogs are not allowed in the preserve. There are two entrances to the preserve, one at the Porter Schoolhouse, also owned by the Pember Library and Museum, and the other is at the south side of the preserve on South Grimes Hill Road. More experienced hikers might enjoy Buck Mountain in Kattskill Bay, which offers a more challenging hike. The Buck Mountain Trail starts at the Pilot Knob Trailhead, with the trail starting out flat and then becoming steeper and rockier as you go along. The trail can get quite icy in the winter, so plan ahead with proper footwear. Although the trail can be somewhat difficult, you'll get to see picturesque views of Lake George, Bolton Landing, and the Adirondacks from the summit. You're also likely to see a variety of birds and possibly a fox or fisher. Shelving Rock Falls in Fort Ann provides an easier hiking experience if you're a beginner or are perhaps taking your children with you. There's a little bit of uphill hiking, but it's not too steep. 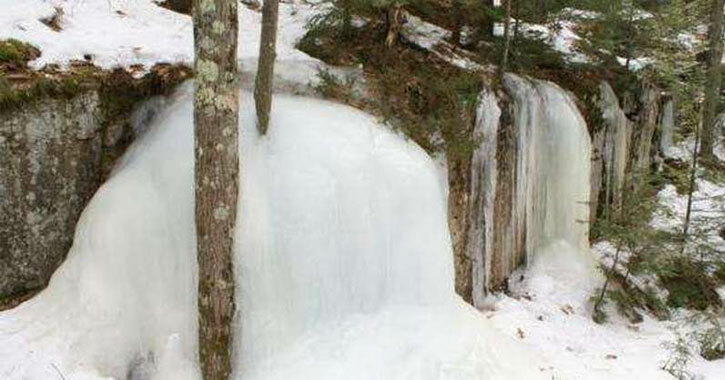 In the summer, you can see a waterfall; in the winter, it might be frozen over, which could provide for a unique sight. There are 13 designated campsites; you can also camp elsewhere in the area providing you're more than 500 feet from the Shelving Rock and Dacy Clearing Roads. Parking is prohibited along Shelving Rock Road, so you'll need to park in one of the eight parking lots that are avilable. The DEC is working on constructing a ninth parking lot.